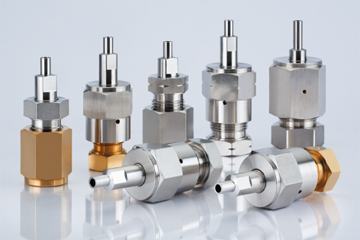 CGA/JIS/DISS type cylinder connectors are used to connect High Purity Specialty gases in process application. Materials of glands are PRIMET which uses excellent weldabily. Internal surfaces of glands are electro polished. All parts are cleaned with DI water and assembled in a clean room.